AT&T Inc. is buying BellSouth Corp. for $67 billion in stock in a bid that further consolidates the telecommunications industry and would give AT&T total control of their growing joint venture, Cingular Wireless LLC. The proposed purchase, announced Sunday, also goes a long way toward resurrecting the old Ma Bell telephone system, which was broken apart in 1984. The merged company would have 70 million local-line phone customers and nearly 10 million broadband subscribers in the 22 states where they now operate. The deal appears to be the largest yet among U.S. telecom players. In 1999, MCI WorldCom Inc. agreed to buy Sprint Corp. for an even larger sum, $115 billion, but that deal was blocked by federal regulators. Internationally, Britain's Vodafone Airtouch PLC paid $180 billion in stock for Mannesmann AG of Germany in 2000. The sale, which is subject to regulatory and shareholder approvals, would give San Antonio-based AT&T total control over Atlanta-based BellSouth's nine-state network and its share of Cingular. AT&T currently owns a 60 percent share of the nation's No. 1 cell phone provider, while BellSouth has 40 percent. The deal would substantially expand the reach of AT&T, already the country's largest telecommunications company by the number of customers served. Together, the three companies employ more than 316,000 people, though that head count may fall as AT&T eliminates redundant operations. After spending millions of dollars to rebrand AT&T Wireless Services Inc. stores as Cingular stores and hundreds of millions of dollars more on marketing the new Cingular after its $41 billion acquisition of AT&T Wireless in October 2004, Cingular will now become AT&T if the merger with BellSouth is completed. The BellSouth name also would be absorbed in the deal. "It's going to be confusing," said industry analyst Jeff Kagan. "This is the reinvention of the telecommunications industry." CBS News correspondent Bianca Solorzano reports if the deal is approved, only three survivors of the AT&T breakup will remain. That could force more mergers, such as between Verizon and Qwest, if they are to have any chance to stay in the phone game. AT&T will pay 1.325 of its own shares for each BellSouth share. Based of Friday's closing price of $27.99 for AT&T shares, that works out to be $37.09 for each BellSouth share, an 18 percent premium from the Friday closing price of $31.46 for the company. 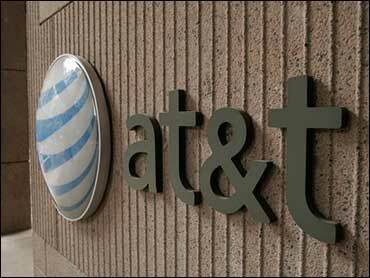 AT&T Inc. was formed by SBC's acquisition of AT&T Corp. in November. The deal added a substantial national reach to the former Southwestern Bell's local business, which is concentrated in 13 states, including Texas, California, and the Midwest. BellSouth is the dominant local telephone provider in the Southeast. The shift in the U.S. telecom landscape — moving from four to three regional Bell operators — is sure to garner close review from Washington. "Twenty years after the government broke up Ma Bell, this deal represents a mother and child reunion," said Rep. Ed Markey, the ranking Democrat on the House Subcommittee on Telecommunications and the Internet. "Our nation's telecommunications markets must be vigorously competitive and open to innovation in order to promote job creation and economic growth," Markey said. "This merger proposal is one that unquestionably merits the utmost scrutiny by government antitrust officials." Cingular spokesman Mark Siegel dismissed the notion there would be public perception issues with the switch back to the AT&T name for the wireless company. "We built a business," Siegel said. "Is the brand an important part of that business? Yes. But it is a business that is made primarily up of people. None of that changes." Siegel said sole ownership by AT&T "gives us clarity of decision-making, and that is a good thing." With cable companies increasingly vying for traditional phone companies' share of local telephone service, such mergers in the industry have been commonplace of late. Kagan, the industry analyst, said more could be on the horizon. "We're not over it yet," Kagan said. The combined company will be based in San Antonio, and Ed Whitacre, AT&T's chairman and chief executive, will keep those positions. His counterpart at BellSouth, Duane Ackerman, 63, will run BellSouth's operations in a "transition period" after the merger. Cingular's headquarters will stay in Atlanta, as will the Southeast regional headquarters for the merged company. Cingular has grown strongly since it was formed in 2001 by the merger of a number of regional wireless carriers, and there has been speculation that AT&T wanted to assume full control of this growth business, in part to be able to market it under the AT&T name. The wireless operations will be the growth engine of the new company, and will account for one third of the combined revenue. AT&T expects the acquisition to save it $2 billion annually, starting the year after the deal closes. About half of the savings would come from reduced advertising expenses and from combining their work forces. The rest of the savings would come from combining the backbone network and information-technology operations of the two companies.